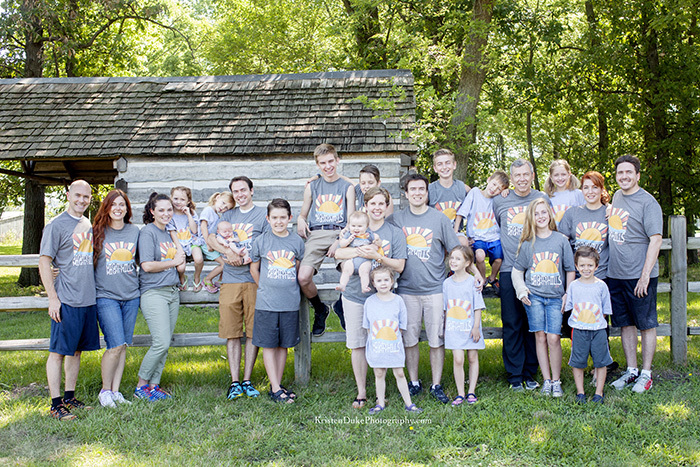 Last week we met up with my family for a reunion in Missouri/Illinois, and since we’d be in a place with lots of people, we thought we make a matching T-shirt for all of us. Right around that time, I was contacted by Allied Shirts to review their process, and I’m delighted to share it was quite seamless and so easy to design our own! This is only the 2nd time we’ve done matching shirts in my family, and the first time, we came up with a title, “Mighty, Mighty Hills” that we wanted to duplicate. We got the super, super soft TriBlends t-shirt, which we chose in gray, among other colors. Read on, to see why we chose that. Kids echo: Everywhere we go! Dad: We are the Hills! Kids: We are the Hills! That song is also the reason we name our sibling website (that has been on a hiatus since our mom passed away) PeopleWantToKnow.com I’m really hoping to re-vamp that soon. 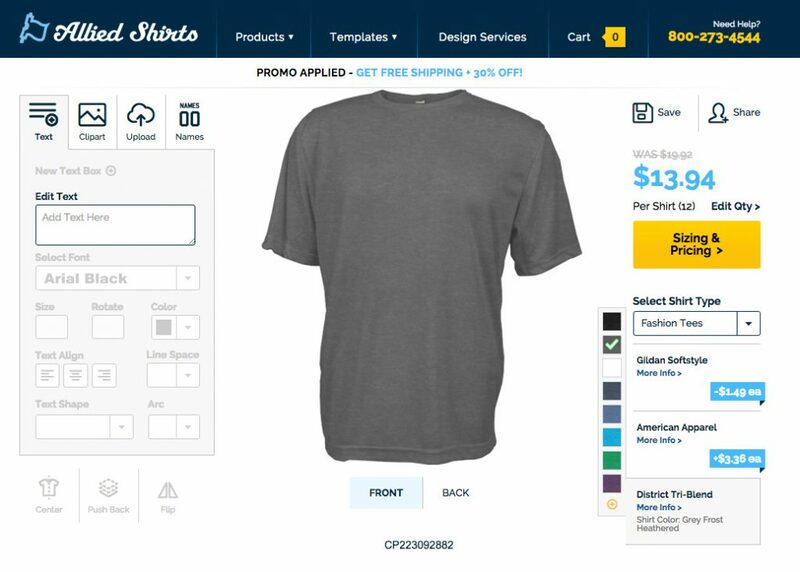 With the softy Tri-Blends, we had 9 shirt colors to choose from, but chose gray, thinking it would a) pop the best with the bright design and b) not get so dirty like white would. 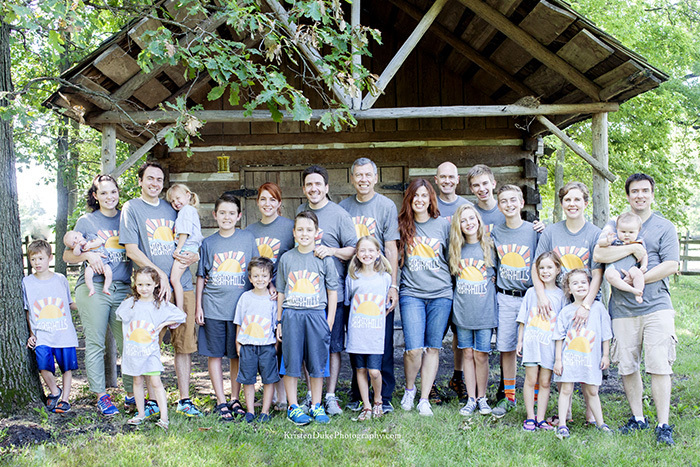 The Tri-Blend didn’t come in kids sizes, so they got a standard gray shirt, which was a touch lighter than ours. AND, I should note, we made the gray baby onesies ourselves, hoping that will come to Allied Shirts site soon! 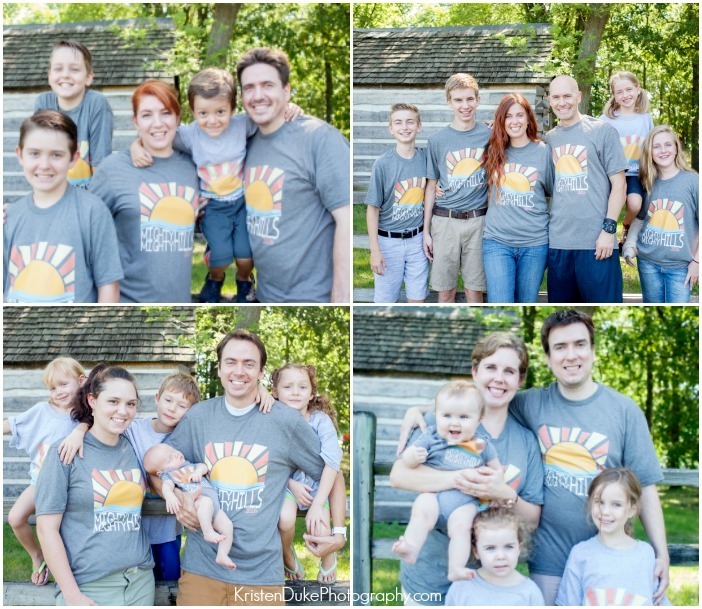 For these pictures, I set up a tripod, and hit the timer setting, and ran back into the picture. 2 poses, just 2 shots each, and it worked out pretty well! Here is our 2nd pose (which we actually did first). I just liked the “people layout” of the top picture best. 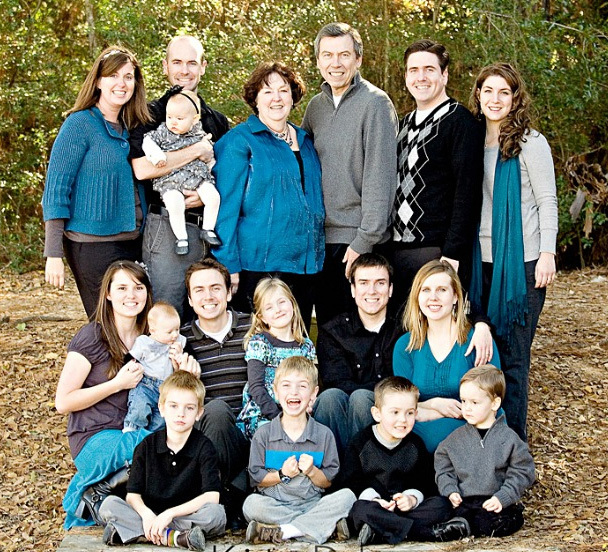 Here we are in each of our individual families. I have shared before, that I’m the only girl with 3 brothers, so you know who my “blood” is below. I am so grateful for AMAZING sister in laws that are truly like sisters to me. Maybe I’ll share our girls’ outing pictures in the next post. Birth order from top left, clockwise (I’m #2) but I had kids first. Right now, we have perfect symmetry with grandkids. My younger brother and I have 2 boys and 2 girls, with my oldest brother having 3 boys and my youngest brother having 3 girls! How crazy is that??? 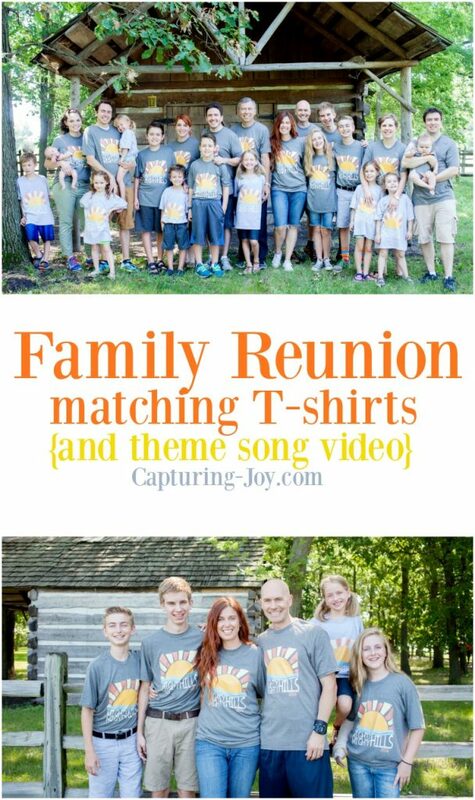 It SEEMS as though we all feel our families are complete, so likely no further cousins/grandkids, but never say never, right? NOW! For the grand finale….are you ready to hear our SONG with us SINGING??? For those of you that have followed my site for a while, you know that my mom passed away unexpectedly last November, so this was our first gathering of ALL OF US since then. My sister in law, Rachel, (bottom left) was heavily pregnant with her adorable Emma at the time, and wasn’t able to travel for the services. This post was sponsored by Allied Shirts, and provided the t-shirts as compensation, but all opinions are 100% my own. 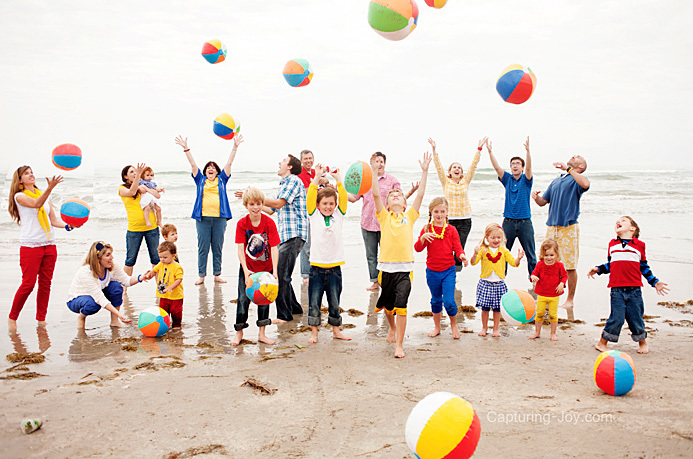 One of my favorite family pictures are the Beach Ball Family Pictures which was our last family pictures before my parents mission. 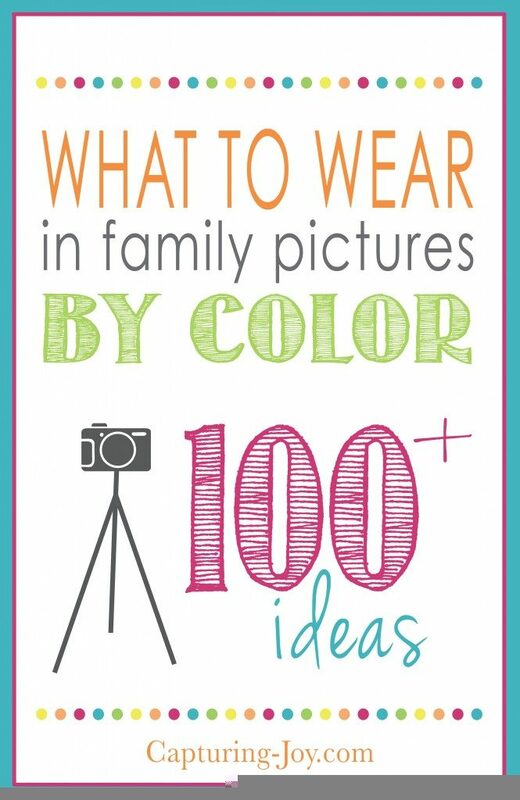 Finally, I’ve got a series all about What to Wear in Family Pictures, to help with clothing ideas and colors.